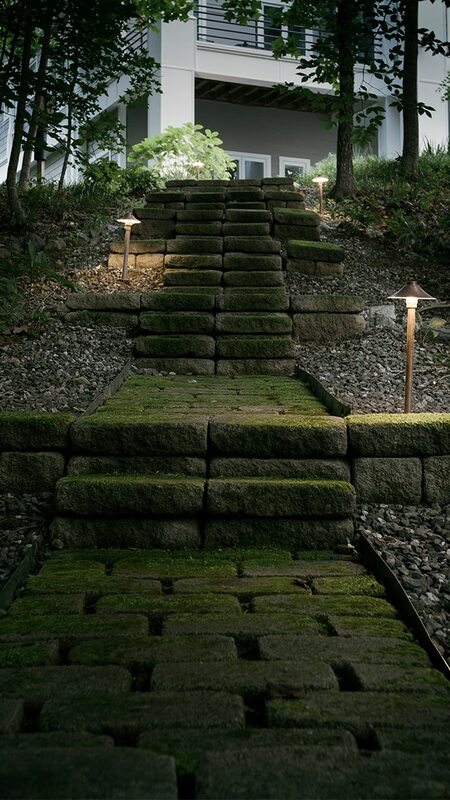 At Custom Landscape Lighting, we use high quality LED systems and products in our outdoor lighting designs. LED lighting allows us to create beautiful, functional lighting designs that are low-maintenance, use less energy, and will last much longer compared to incandescent or halogen lights. LED stands for “Light Emitting Diode.” LED lights are energy efficient, using about 85% less energy than a halogen or traditional incandescent light bulb. 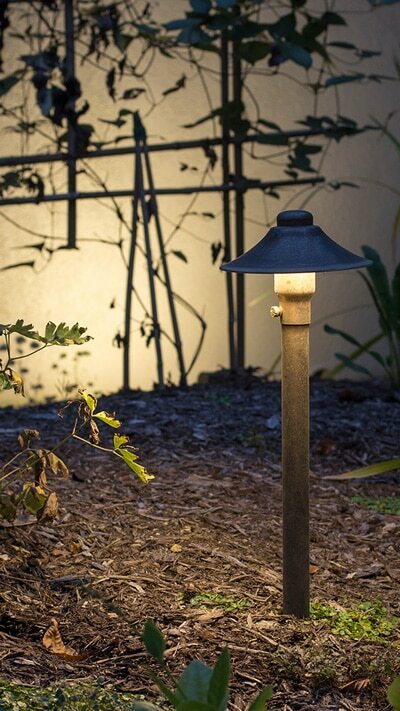 This means huge savings on your energy bills, which is a must for custom landscape lighting. LED lights also last much longer – 5 years or more! LED lighting is very popular today, whether for indoor or outdoor, residential or commercial use. LED lights are long lasting. Your LED lamps will get up to 25,000-50,000 hours before burning out. LED lights are a valuable investment for your home or commercial space. With a minimum 7 year warranty, you won’t have to change your bulbs as much as you would with halogen lights. Recent LED lights have had the color and Kelvin temperature adjusted, meaning you won’t have to worry about artificial blue lights. 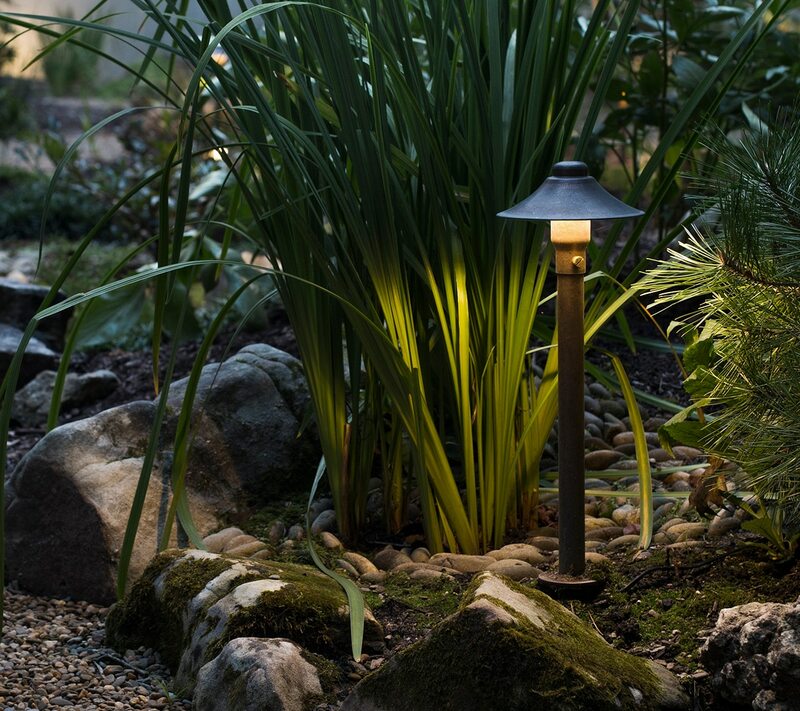 Your outdoor landscape lighting will have the color and feel you’re looking for. LED lights are the most energy efficient lighting options available. That means you’ll save on monthly energy bills while enjoying your custom landscape lighting. Is your current outdoor lighting system not what you were hoping for? Do you have burned bulbs, lamps blocked by overgrown bushes, or sections of your design that simply don’t work anymore? We’ll work with you to repair, upgrade, and expand your existing design into something you’ll love. Our designs are well-balanced and custom designed to fit your building and the surrounding landscaping. We offer a minimum 7-year warranty on all LED lamps, and up to a 20-year warranty on our integrated LEDs. If your lamps burn out or go bad somehow, we’ll repair or replace them ASAP! All of our custom lighting system installations come with a Lifetime Warranty. Learn more about how you can get a free lighting design AND $250 off $2,500 or $500 off $5,000 when you get a new system installed by contacting us today!